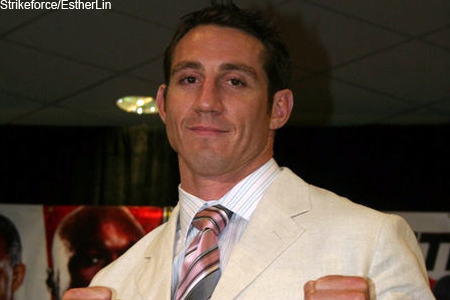 Tim Kennedy (pictured) has spent the past few days calling out nearly every middleweight on the UFC’s roster after watching Lyoto Machida get pulled from their fight. However, one name he left out was Rafael Natal, and ironically, guess who Kennedy will now be facing at UFC Fight for the Troops 3? Kennedy, a former Green Beret, will be riding a two-fight winning streak into the shootout. The 33-year-old will be looking to improve upon July’s uneventful unanimous decision win over Roger Gracie in his UFC debut. Natal has rattled off three straight wins, with his most recent coming last month in a unanimous decision over Tor Troeng. The Brazilian is victorious is five of his last six outings. Machida was promoted to a pivotal scrap against Mark Munoz at UFC Fight Night 30 after Michael Bisping was forced to withdraw from the October 26 tango with an eye issue. The November 6 event takes place at Fort Campbell in Kentucky. Fox Sports 1 will broadcast the show’s main card live.